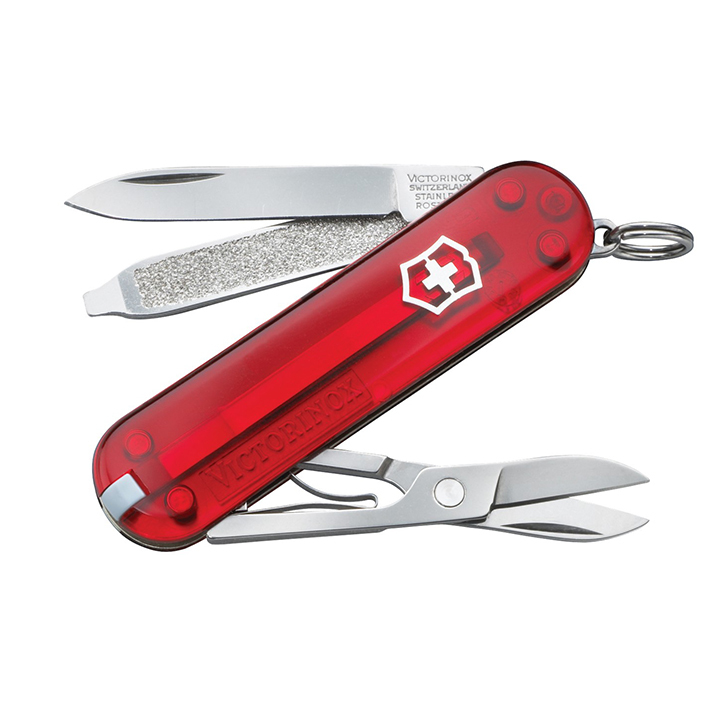 The Victorinox Ruby Signature Work 3.0 16GB is an all-in-one tool that combines the performance of a blazingly fast USB Flash Drive with key Swiss Army Knife essentials including scissors, a small blade, a nail file with screwdriver tip, and a pressurized ballpoint pen. Slip the Signature Work on your keychain and you’ll have everything you need within easy reach. The versatile USB drive on this Signature pivots, allowing a USB Type-A connection on one end, and a USB Type-C connection on the other. The portable data storage USB flash drive on the Signature Work provides 16GB of detachable storage for your important files, images, and presentations. Compared to most other flash products, the Victorinox USB has blazingly fast transfer speeds – writing at 25 MB per second and reading at 115 MB per second, making very quick work of copying large files.